Struggling to retain employees, Rassini built 850 homes, a swimming pool and community center for its workers. Almost 15 years ago, in the dusty border town of Piedras Negras, auto parts manufacturer Rassini started having a very expensive problem on its hands: workers were running across the border to the U.S. after only a few weeks on the job. "The Mexican dream is to have the American dream," said Cesar Cerrato, a machine operator who has worked at Rassini for nearly two decades and saw many of his coworkers leave. "We all had family [in the U.S.] and wanted to live like them, making good money, earning dollars and driving big ol' trucks." Each time Rassini lost one of its workers and had to train a new one, it cost the company $8,000 and four months' time. For advanced work, it cost $24,000 and 12 months, the company says. Not only was it tough to keep workers, finding new ones was a challenge, too. The company was growing so fast that, in 1997, it recruited about 700 workers from the rural state of Veracruz, Mexico. But Piedras Negras, with a population of just 97,000 at the time, was so small it didn't have adequate lodging to house all of the new employees and their families. So Rassini housed the new workers in dorms -- an arrangement that didn't go very well. Many workers returned to the families they'd left behind or left for the States. Employee turnover skyrocketed to almost 11% a year. "We needed to take action to retain our employees," said Sergio Dávila, Rassini's CEO. Rassini sells a majority of the leaf springs used in North American light trucks. So Rassini started building homes -- 850 of them -- to sell to its workers for around $10,000 each. To sweeten the deal, it also built a public swimming pool and a neighborhood center. Since many of its employees were from other parts of Mexico, Rassini needed to get around a law that applicants for government-backed mortgages must have at least two years' residency in the area where they're buying. To do that, the company worked out a rent-to-own deal: after two years of renting, the worker would receive a mortgage for the house and the rent payments up to that point would be applied toward the mortgage balance. 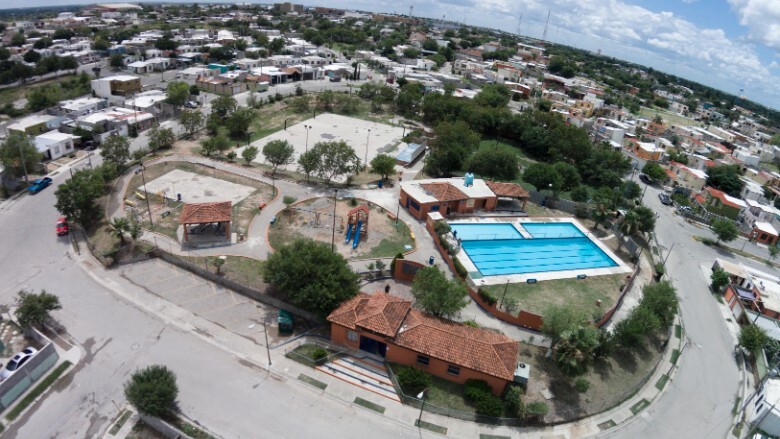 The new homes not only sparked a real estate boom in Piedras Negras -- they currently sell for about $18,000, the company says -- but they also helped Rassini to retain employees. Today, Rassini employs 2,600 workers and turnover has fallen to less than 2% a year. Cerrato bought one of the first houses Rassini built and says he's not only paid off his mortgage, but he's now in the process of expanding his home. He and his wife also have a couple of "trokitas," Spanglish for "little trucks." Another Rassini employee, Alfredo Castellanos was among the workers who came from Veracruz. He bought a Rassini home and the change was dramatic. "I worked in the field planting sorghum, rice, beans and corn," Castellanos said. "I just really wanted to live comfortably with my family in a decent house." Now he says he has a big TV and air conditioning, luxuries he never had before. Rassini doesn't build houses for its employees anymore, but it still helps them find housing and secure loans. About 80% of the company's current workers now own their homes and about 900 of them have federally-backed mortgages, Rassini said. In addition to helping its workers afford housing, Rassini is helping them get educated. The company realized that poor education was also contributing to its high turnover, so it brought in teachers from the local community for a few hours each day to teach in classrooms in the factory. Instruction begins with elementary school level classes and keeps going as workers advance -- up through high school. "Employees are more committed, plus they're eligible for higher salaries," said Davila. 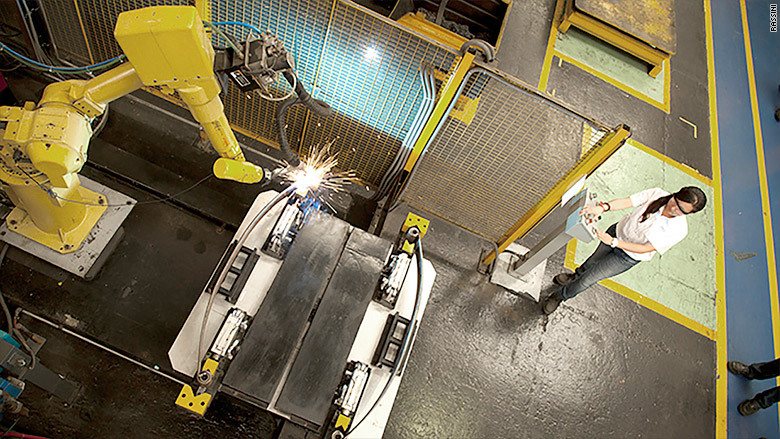 A worker operates a robot for welding parts. Employees' children have also received college scholarships from the company. "They gave one of my kids a scholarship, even though he doesn't work here," said Castellanos. The company also offers health benefits and has even created a volunteer ambulance corps. The team responded when flash floods hit the area a few years ago, Rassini said. The chasm between the rich and poor in Mexico is vast, but Rassini is attempting to bridge the gap. 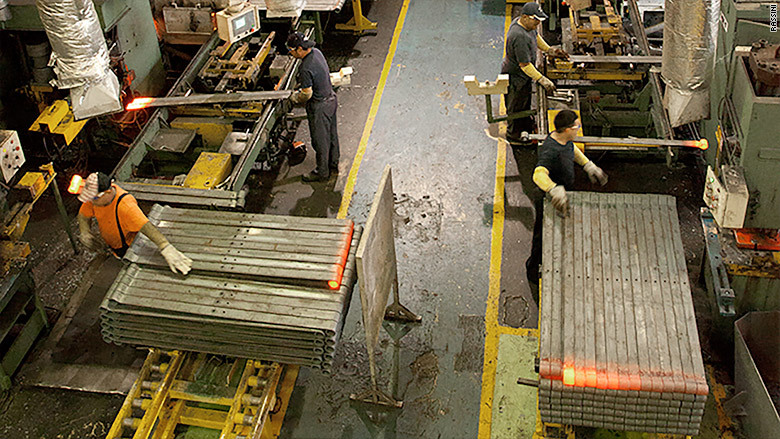 Average per-capita household income in Mexico in 2014 was about $9,000 a year, according to World Bank data, but factory floor workers at Rassini earn an average of about $13,000 a year, Rassini says. Sergio Cabello, Rassini's human resources manager, says treating workers with dignity is important. He sees other industries in Mexico beginning to catch on. For the past two years, Rassini has been certified as a Socially Responsible Business (ESR) by the Mexican Philanthropy Center (Cemefi), a Mexican civic association dedicated to promoting corporate philanthropy and social responsibility. Where other companies see unions as the enemy, Rassini says it considers its union as a strategic ally. 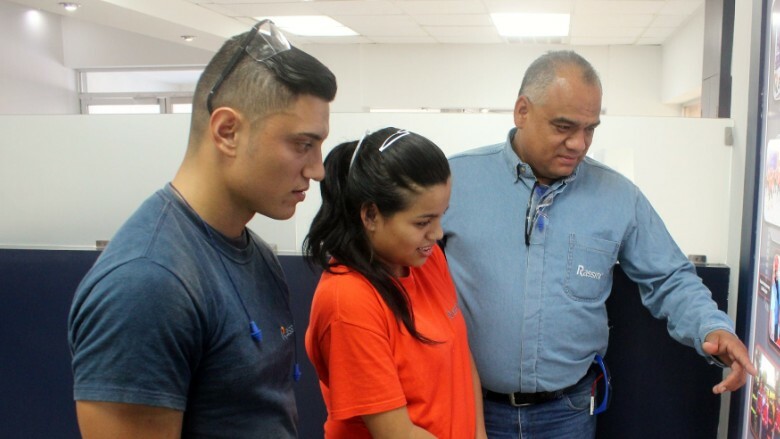 Rassini is one of the top employers in Piedras Negras, attracting young workers with above-average salaries. Omar Heredia, 40, has been the Confederation of Mexican Workers' union leader at Rassini for 18 years and says the relationship between the union and management is much better nowadays. He's proud of what he's accomplished leading the union's collective bargaining, including a recent salary increase that he says is the highest in Piedras Negras. "The business improved, the union improved and, above all, the workers improved," Heredia said.